Active Currency Overlay programmes aim to transform existing currency exposures into a portfolio of currencies with an improved risk-adjusted return profile. We have used a consistent and distinctive fundamental discretionary investment approach for over twenty years. Our long track record exhibits attractive returns and proven control of downside risk. The investment team is highly experienced, with average industry tenure in excess of twenty years. *Stylised representation of currency industry peers. Investors will expect to improve the risk/return characteristics of an international portfolio. 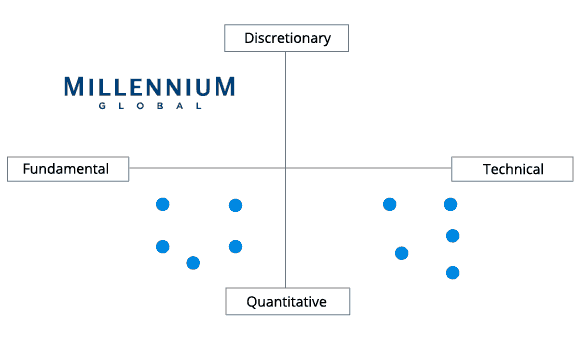 Returns are typically uncorrelated to traditional equity, bond and commodity market returns. Our experienced team can provide a wide range of additional research and analysis helpful to investors.